and revision of Genus Leptodoras. Univ. of Illinois, Urbana-Champaign. 422 p.
Taxonomic revision of the Neotropical thorny catfishes (Family: Doradidae). Geographic variation in the South American anchovy Amazonsprattus (Engraulidae) with description of a new species from Brazil. Description of a new species of driftwood catfish (Auchenipteridae: Gelanoglanis) from Peru. 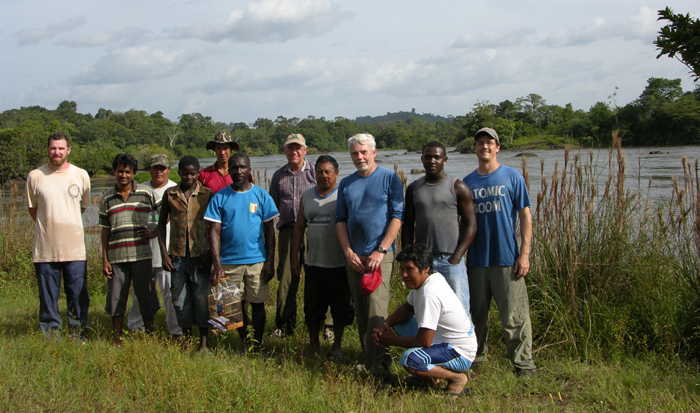 Survey, identification and photographic documentation of the fish fauna of Guyana and the Peruvian Amazon. Reproductive strategies and hybridization in North American minnows (Cyprinidae). *Award: University of Illinois at Urbana-Champaign incomplete list of teachers ranked outstanding (top 10%) by their students. Duties included sorting, identifying and accessioning fishes into the University of Richmond Fish Collection; assisting Drs. William S. Woolcott and Eugene G. Maurakis in videotaping and analyzing the natural reproductive behaviors of minnows in the field in Alabama, Pennsylvania, Tennessee, Virginia and Wisconsin. 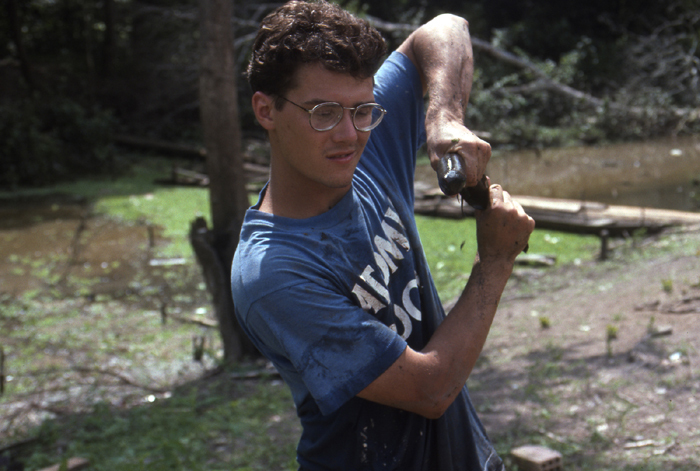 Duties included aquatic surveys of mollusks, crayfishes, fishes and herps throughout Illinois for the IL Department of Transportation (1993, 94, 95) and in southwestern California for the US Army Construction Engineering Research Laboratory (1993 only); general collecting, sorting and identification of fishes from North and South America; curatorial assistant in INHS Fish Collection; molecular lab work (DNA purification, amplification, cloning and sequencing); and preparation of technical reports, applications/reports for scientific collecting permits and b/w illustrations for scientific publications. Duties divided between management of INHS collections (primarily Fish and to a small degree Mollusk, Crustacean, Herpetological and Mammal) (70% time), personal research (20%) and INHS/university/public services (10%). Management duties include: preservation, sorting, identification and accessioning of incoming material; conducting specimen transactions (gifts, loans, exchanges); updating database and holdings to reflect current taxonomy and systematic order; tracking and reporting annual collection growth and usage (transactions, visitors, citations); tracking and responding to data requests; management and disposal of hazardous chemical and animal waste; ordering and stocking equipment and supplies (chemicals, jars/lids, museum cabinets, etc. ); maintaining equipment inventories; completion of applications and annual reports for state/provincial and international collecting permits; submission of import/export declarations (form 3-177) to US Fish and Wildlife. INHS/university/public services include: committee participation; in-house review of manuscripts; training and supervision of undergraduate and graduate assistants; responding to public inquiries; hosting collection tours, open houses and species identification workshops for grade school and high school students and local organizations. Manage Fish Collection (1.2 million specimens) with management duties same as those described above. Additional duties include supervising half-time assistant and undergraduate work-study students and interns. 1993, 95, 97  Graduate College Conference Travel Grant, University of Illinois. $100 ea. yr.
2001  World Wildlife Fund, Inc: Delineation and description of freshwater ecoregions for South Amercia (with J. G. Lundberg and M. W. Littmann). $3,000. 2005  World Wildlife Fund, Inc: Technical support in the watershed analysis for the Guianas, Guianas Forests & Environmental Conservation Program, WWF Guianas. $1,058. 1. 1991  Maurakis, E. G., W. S. Woolcott and M. H. Sabaj. Reproductive behavior in Exoglossum species. Bulletin Alabama Museum of Natural History 10:11-16. 2. 1991*  Maurakis, E. G., W. S. Woolcott and M. H. Sabaj. Reproductive-behavioral phylogenetics of Nocomis species-groups. American Midland Naturalist 126:103-110. 3. 1992  Maurakis, E. G., W. S. Woolcott and M. H. Sabaj. Water currents in spawning areas of pebble nests of Nocomis leptocephalus (Pisces: Cyprinidae). Southeastern Fishes Council Proceedings 25:1-3. 4. 1993  Maurakis, E. G., M. H. Sabaj and W. S. Woolcott. Pebble nest construction and spawning behaviors in Semotilus thoreauianus (Pisces: Cyprinidae). ASB Bulletin 40(2):27-30. 5. 1994*  Page, L. M., and M. H. Sabaj. The function of the caudal keel in Percina (Percidae). Environmental Biology of Fishes 40:105-107. 6. 1996 Page, L. M., J. W. Armbruster and M. H. Sabaj. Redescription of Glyptoperichthys scrophus (Cope), a loricariid catfish from Peru. Ichthyological Exploration of Freshwaters 7(2):185-191. 7. 1997*  Taylor, C. A., and M. H. Sabaj. A new crayfish of the genus Orconectes from western Tennessee (Decapoda: Cambaridae). Proceedings of the Biological Society of Washington 110(2):263-271. 8. 1997  Sabaj, M. H., K. S. Cummings and L. M. Page. Annotated catalog of type specimens in the Illinois Natural History Survey Fish Collection. Illinois Natural History Survey Bulletin 35(5):253-300. 9. 1998  Maurakis, E. G., W. S. Woolcott and M. H. Sabaj. Heterogeneric spawning between Campostoma a. anomalum and Nocomis l. leptocephalus (Actinopterygii: Cyprinidae). Virginia Journal of Science 49(3):195-198. 10. 1998  Poly, W. J., and M. H. Sabaj. Lack of evidence for the validity of Rhinichthys bowersi (Cyprinidae). Copeia 1998(4):1081-1085. 11. 1998*  Taylor, C. A., and M. H. Sabaj. A new crayfish of the genus Orconectes from the Blood River drainage of western Kentucky and Tennessee (Decapoda: Cambaridae). Proceedings of the Biological Society of Washington 111(3):645-652. 12. 1999  Sabaj, M. H., and R. A. Englund. Preliminary identification and current distributions of two suckermouth armored catfishes (Loricariidae) introduced to O'ahu streams. Bishop Museum Occasional Papers 59:50-55. 13. 1999  Sabaj, M. H., J. W. Armbruster and L. M. Page. Spawning in Ancistrus (Siluriformes: Loricariidae) with comments on the evolution of snout tentacles as a novel reproductive strategy: larval mimicry. Ichthyological Exploration of Freshwaters 10(3):217-229. 14. 2000*  Sabaj, M. H., E. G. Maurakis and W. S. Woolcott. Spawning behaviors in the bluehead chub, Nocomis leptocephalus, river chub, N. micropogon and central stoneroller, Campostoma anomalum. American Midland Naturalist 144:187-201. 15. 2000  Armbruster, J. W., M. H. Sabaj, M. Hardman, L. M. Page and J. H. Knouft. Catfish genus Corymbophanes (Loricariidae: Hypostominae) with description of one new species: Corymbophanes kaiei. Copeia 2000(4):997-1006. 16. 2002  Motomura, H. and M. H. Sabaj. A new subspecies, Polynemus melanochir dulcis, from Tonle Sap Lake, Cambodia, and redescription of P. m. melanochir Valenciennes in Cuvier and Valenciennes, 1831 with designation of a neotype. Ichthyological Research 49:181-190. 17. 2002  Hardman, M., L. M. Page, M. H. Sabaj, J. W. Armbruster and J. H. Knouft. A comparison of fish surveys made in 1908 and 1998 of the Potaro, Essequibo, Demerara, and coastal river drainages of Guyana. Ichthyological Exploration of Freshwaters 13(3):225-238. 18. 2003  Sabaj, M. H., and C. J. Ferraris, Jr. Family Doradidae (Thorny catfishes), p. 456-469 in R. E. Reis, S. O. Kullander, and C. J. Ferraris, Jr. (organizers), Check list of the freshwater fishes of South and Central America, Porto Alegre: EDIPUCRS, 2003. 742 p.
19. 2005  Ng, H. H., and M. H. Sabaj. Akysis hardmani (Siluriformes: Akysidae), a new species of catfish from Thailand. Ichthyological Exploration of Freshwaters 16(3):215-222. 20. 2005  Werneke, D. C., M. H. Sabaj, N. K. Lujan and J. W. Armbruster. Baryancistrus demantoides and Hemiancistrus subviridis, two new uniquely colored species of catfishes from Venezuela (Siluriformes: Loricariidae). Neotropical Ichthyology 3(4):533-542. 21. 2005*  Sabaj, M. H. Taxonomic assessment of Leptodoras (Siluriformes: Doradidae) with descriptions of three new species. Neotropical Ichthyology 3(4):637-678. 22. 2007  Lujan, N. K., J. W. Armbruster and M. H. Sabaj. Two new species of Pseudancistrus from southern Venezuela (Siluriformes: Loricariidae). Ichthyological Exploration of Freshwaters 18(2):163174. 23. 2007  Sabaj Pérez, M. H., O. A. Aguilera S. and J. G. Lundberg. Fossil catfishes of the families Doradidae and Pimelodidae (Teleostei: Siluriformes) from the Miocene Urumaco Formation of Venezuela. Proceedings of the Academy of Natural Sciences of Philadelphia 156:157194. 24. 2007  Birindelli, J. L. O., M. H. Sabaj and D. C. Taphorn. New species of Rhynchodoras from the Río Orinoco with comments on the genus (Siluriformes: Doradidae). Copeia 2007(3):672684. 25. 2008  Sabaj, M. H., D. C. Taphorn, and O. E. Castillo G. Two new species of thicklip thornycats, Genus Rhinodoras (Teleostei: Siluriformes: Doradidae). Copeia 2008(1):209226. 26. 2008  Abell, R., M. L. Thieme, C. Revenga, M. Bryer, M. Kottelat, N. Bogutskaya, B. Coad, N. Mandrak, S. Contreras Balderas, W. Bussing, M. L. J. Stiassny, P. Skelton, G. R. Allen, P. Unmack, A. Naseka, R. Ng, N. Sindorf, J. Robertson, E. Armijo, J. V. Higgins, T. J. Heibel, E. Wikramanayake, D. Olson, H. L. Lopez, R. E. Reis, J. G. Lundberg, M. H. Sabaj Pérez, and P. Petry. Freshwater ecoregions of the world: a new map of biogeographic units for freshwater biodiversity conservation. BioScience 58(5):403414. 27. 2008  Sabaj Pérez, M. H., and J. L. O. Birindelli. Taxonomic revision of extant Doras Lacepède, 1803 (Siluriformes: Doradidae) with descriptions of three new species. Proceedings of the Academy of Natural Sciences of Philadelphia 157:189233. 28. 2008  Birindelli, J. L. O., L. M. Sousa, and M. H. Sabaj Pérez. New species of thorny catfish, genus Leptodoras Boulenger (Siluriformes: Doradidae), from Tapajós and Xingu basins, Brazil. Neotropical Ichthyology, 6(3):465-480. 29. 2008  Piorski, N. M., J. C. Garavello, M. Arce H., and M. H. Sabaj Pérez. Platydoras brachylecis, a new species of thorny catfish (Siluriformes: Doradidae) from northeastern Brazil. Neotropical Ichthyology, 6(3):481-494. 30. 2008  Neely, D. A., M. H. Sabaj Pérez and B. Mendsaikhan. First Records of Rhinogobius lindbergi (Teleostei: Gobiidae) and Abbottina rivularis (Teleostei: Cyprinidae) in the Lake Buyr Drainage, Mongolia. Journal of Great Lakes Research 34(2):334-341. 31. 2009  Birindelli, J. L. O., L. M. Sousa, and M. H. Sabaj Pérez. Morphology of the gas bladder in thorny catfishes (Siluriformes: Doradidae). Proceedings of the Academy of Natural Sciences of Philadelphia 158:261296. 32. 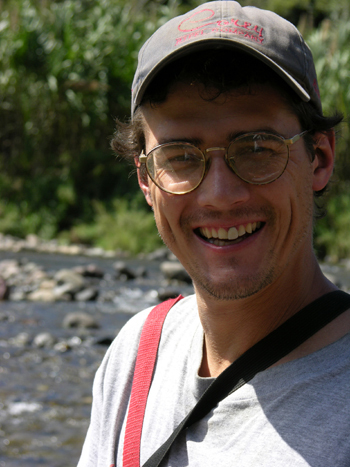 2009  Sabaj Pérez, M. H. Photographic atlas of fishes of the Guiana Shield. p. 5393 In: Vari, R. P., C. J. Ferraris, Jr., A. Radosavljevic, and V. A. Funk, eds. Checklist of the freshwater fishes of the Guiana Shield. Bulletin of the Biological Society of Washington, no. 17. 33. 2010  Lundberg, J.G., M.H. Sabaj Pérez, W.M. Dahdul and O.A. Aguilera S. 2010. The Amazonian Neogene fish fauna. p. 281301 In: Hoorn, C., and F.P. Wesselingh, eds. 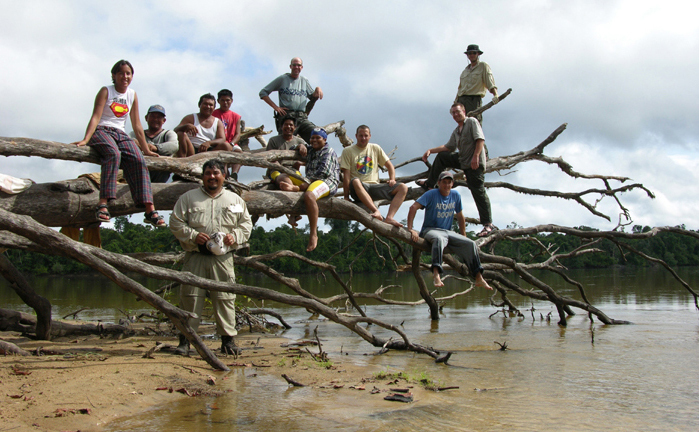 Amazonialandscape and species evolution: a look into the past. Wiley-Blackwell, 447 p.
34. 2010  Thomas, M.R., and M.H. Sabaj Pérez. 2010. A new species of whiptail catfish, genus Loricaria (Siluriformes: Loricariidae), from the Rio Curuá (Xingu Basin), Brazil. 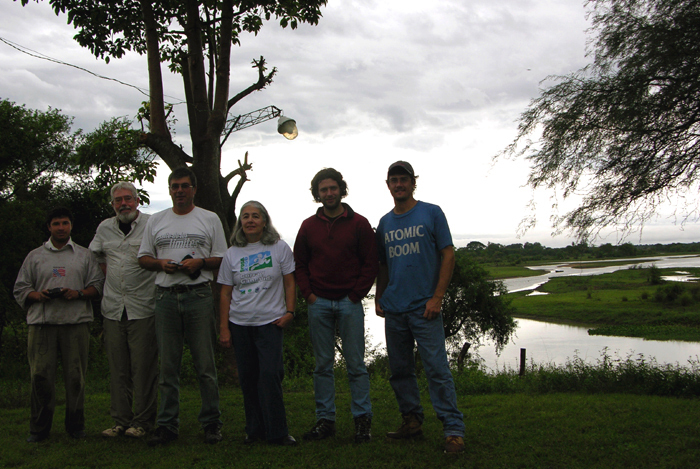 Copeia 2010(2):274283. 35. 2010  Roa-Fuentes, C.A., J.C. Alonso, A. Alfonso, and M. Sabaj Pérez. 2010. Pisces, Siluriformes, Doradidae, Astrodoras Bleeker, 1862: First record in the Colombian Amazon. Check List, Journal of Species Lists and Distribution 6(4):485487. 36. 2011  Quagio-Grassiotto, I., R.J. Ortiza, M.H. Sabaj Pérez and C. Oliveira. 2011. Sperm of Doradidae (Teleostei: Siluriformes). Tissue and Cell 43(2011):823. 37. 2011  Schaefer, S.A., P. Chakrabarty, A.J. Geneva and M.H. Sabaj Pérez. 2011. Nucleotide sequence data confirm diagnosis and local endemism of variable morphospecies of Andean astroblepid catfishes (Siluriformes: Astroblepidae). Zoological Journal of the Linnean Society. 38. 2011  Birindelli, J.L.O., and M.H. Sabaj Pérez. 2011. Ossancora, new genus of thorny catfish (Teleostei: Siluriformes: Doradidae) with description of one new species. Proceedings of the Academy of Natural Sciences of Philadelphia 161:117152. 1994  Page, L. M., D. W. Webb, E. O. Moll, K. S. Cummings and M. H. Sabaj. Aquatic faunal survey of Camp Roberts National Guard Training Site and Camp San Luis Obispo National Guard Training Site, California with emphasis on rare species. Illinois Natural History Survey Center for Biodiversity Technical Report 1994(9):1-285. 1998  Cummings, K. S., L. M. Page, C. A. Mayer and M. H. Sabaj. Freshwater mussels, crayfishes, and fishes of the Little Vermilion River Drainage, Illinois. Illinois Natural History Survey Center for Biodiversity Technical Report 1995(12):1-16. 1999  Page, L. M., J. W. Armbruster, M. Hardman, J. H. Knouft and M. H. Sabaj. Fishes of the Essequibo River, Guyana, 90 years after Eigenmanns expedition. Report to National Geographic Society (grant #6318-98). 27 p.
2000 Sabaj, M. H. Illinois status survey of the redside dace, Clinostomus elongatus, the newest addition to the states native fauna. Technical Report submitted to IL Department of Natural Resources, Division of Natural Heritage. 12 p. + Appendix. 2001  Sabaj, M. H. Academy of Natural Sciences, Department of Ichthyology, Annual Report for the Year 2000. 27 p.
2001  Lundberg, J. G., M. H. Sabaj and M. W. Littmann. Freshwater ecoregion descriptions: northern South America. Report submitted to World Wildlife Fund, Inc. 38 p. + Table. 2005  Sabaj, M. H. Subecoregions proposed for the Guianas freshwater ecoregion. Report submitted to the World Wildlife Fund as Technical support in the watershed analysis for the Guianas, Guianas Forests & Environmental Conservation Program. 20 p. + Table & Map. 2007  Lundberg, J. G., and M. H. Sabaj Pérez. Amazon voyages to and from the Academy: An exhibit and a research program. Friends of the Library Newsletter, The Ewell Sale Stewart Library, The Academy of Natural Sciences of Philadelphia, Fall issue: 1,6. 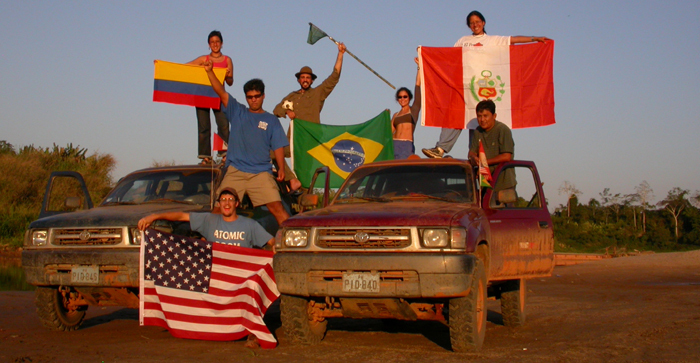 2009  Sabaj Pérez, M. PIPE-Expedition in die Serra do Cachimbo. Amazonas, Süßwasseraquaristik-Fachmagazin, Natur und Tier-Verlag GmbH, Nr. 25 (Sep/Oct 2009):3643. 2002  Sabaj, M. H. All Catfish Species Inventory. Website for collaborative project proposed to NSF Planetary Biological Inventory Program. Proposal submitted 10 January 2003 by Lawrence M. Page (PI: Univ. Florida), Carl J. Ferraris, Jr. (CoPI: California Academy of Sciences), John P. Friel (CoPI: Cornell Univ. Museum of Vertebrates), Jonathan W. Armbruster (CoPI: Auburn Univ. ), and John G. Lundberg and Mark H. Sabaj (CoPI's: Academy of Natural Sciences). Includes information and images related to ACSI project, catfish taxonomy and systematics, fieldwork, and project participants. 1997  Figures 2, 3 and 6 [b/w line and stippled drawings] in: M. E. Retzer and L. M. Page. Systematics of the stick catfishes, Farlowella Eigenmann & Eigenmann (Pisces, Loricariidae). Proceedings of the Academy of Natural Sciences of Philadelphia 147:33-88. 1999  Figures 3; 5; 6a,b; 7a,b; 10; 11a,b; 14; 15; 16; 19; 20a,b; 21a,b; 22a,b; 24a,b; 25a,b; 26a,b; 27a,b; and 31 [b/w line and stippled drawings] in: C. A. Phillips, R. A. Brandon and E. O. Moll. Field guide to amphibians and reptiles of Illinois. Illinois Natural History Survey Manual 8. 300 p.
1999  Figure 1 [b/w line and stippled drawings] in: Retzer, M. E., L. G. Nico and F. Provenzano R. Two new species of Acestridium (Siluriformes: Loricariidae) from southern Venezuela, with observations on camouflage and color change. Ichthyological Exploration of Freshwaters 10(4):313-326. 2002  Figure 44 [b/w line and stippled drawings] in: Greenberg, J. R. A natural history of the Chicago region. Univ. Chicago Press. 595 p.
2004  Figure 34a,b [b/w line and stippled drawings] in: Armbruster, J. W. Phylogenetic relationships of the suckermouth armoured catfishes (Loricariidae) with emphasis on the Hypostominae and the Ancistrinae. Zoological Journal of the Linnean Society 141:1-180. 1990  *Sabaj, M. H., E. G. Maurakis and W. S. Woolcott. Aquatic predatory behaviors of the north-ern water snake, Nerodia s. sipedon (poster and video). 70th Annual Meeting of the American Society of Ichthyologists and Herpetologists hosted by the College of Charleston, SC. 1991  *Sabaj, M. H., E. G. Maurakis and W. S. Woolcott. Reproductive behavior of Exoglossum species (paper). 52nd Annual Meeting of the Association of Southeastern Biologists hosted by Appalachian State University, Boone, NC. 1992  *Sabaj, M. H., E. G. Maurakis and W. S. Woolcott. 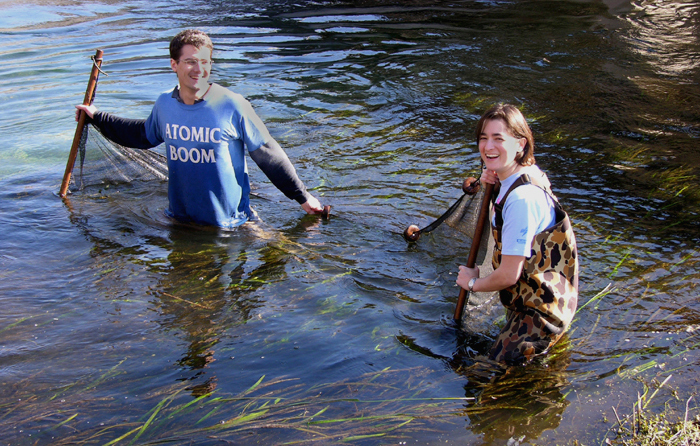 Water currents in spawning areas of pebble nests (paper). 53rd Annual Meeting of the Association of Southeastern Biologists hosted by the University of Alabama, Tuscaloosa. 1992 *Sabaj, M. H., W. S. Woolcott and E. G. Maurakis. Illustrated Review of spawning behaviors of the eastern blacknose dace, Rhinichthys atratulus atratulus (Hermann) (paper). 72nd Annual Meeting of the American Society of Ichthyologists and Herpetologists hosted by the University of Illinois, Urbana-Champaign. 1993 *Sabaj, M. H., E. G. Maurakis and W. S. Woolcott. Retroflexure: a spawning behavior newly described for female creek chubs, Semotilus atromaculatus (paper). 73rd Annual Meeting of the American Society of Ichthyologists and Herpetologists hosted by the University of Texas, Austin. 1995  *Sabaj, M. H., L. M. Page and C. A. Phillips. Hybridization in Shaver's Fork, Cheat River system, West Virginia (paper). 75th Annual Meeting of the American Society of Ichthyologists and Herpetologists hosted by the University of Alberta, Edmonton. 1995  *Phillips, C. A., M. H. Sabaj, T. Uzzell and S. Pfletscher. Genetic relationships among the Ozark and mottled sculpins (genus Cottus) from the midwestern United States (paper). 75th Annual Meeting of the American Society of Ichthyologists and Herpetologists hosted by the University of Alberta, Edmonton. 1997  *Sabaj, M. H., J. W. Armbruster and L. M. Page. Spawning in Ancistrus (Siluriformes: Loricariidae) with comments on the evolution of snout tentacles as a novel reproductive strategy: larval mimicry (paper). 77th Annual Meeting of the American Society of Ichthyologists and Herpetologists hosted by the University of Washington, Seattle. 1998  Page, L. M., M. E. Retzer and M. H. Sabaj. Fishes of Illinois: 100 years of change (poster). Environmental Horizons 98 hosted by University of Illinois at Urbana-Champaign. 2000 *Sabaj, M. H. Taxonomy and phylogenetic relationships of Leptodoras (Siluriformes: Doradidae) and related fimbriate-barbel taxa. 80th Annual Meeting of the American Society of Ichthyologists and Herpetologists hosted by Universidad Autónoma de Baja California Sur, La Paz, México. 2001  Sabaj, M. H. and C. J. Ferraris, Jr. Taxonomy of the Doradidae (Siluriformes) (poster). 81th Annual Meeting of the American Society of Ichthyologists and Herpetologists hosted by Pennsylvania State University, State College. 2002  *Sabaj, M. H. New species, systematics and biogeography of Leptodoras in South America (Doradidae, Siluriformes). 82nd Annual Meeting of the American Society of Ichthyologists and Herpetologists hosted by University of Kansas at Westin Crown Center Hotel, Kansas City, Missouri. 2003  *Sabaj, M. H. and J. W. Armbruster. Interesting fishes from 2002 Guyana Expedition with comments on their biogeography. 83rd Annual Meeting of the American Society of Ichthyologists and Herpetologists hosted by Instituto Nacional de Pesquisas da Amazônia, and Universidade Federal do Amazonas & Associação de Ictiólogos e Herpetólogos da Amazônia in Manaus, Brasil. 2003  *Petry, P., L. M. Soares-Porto, M. H. Sabaj, and M. Thome. Four new species of the auchenipterid catfish genus Gelanoglanis. ibid. 2004  *Sabaj, M. H. and J. W. Armbruster. Guyana revisited: more interesting fishes from the second expedition (2003) with comments on their biogeography. 84th Annual Meeting of the American Society of Ichthyologists and Herpetologists hosted by the University of Oklahoma at the National Center for Employee Development/Marriott Conference Center, Norman, Oklahoma. 2005  Friel, J. P., J. W. Armbruster, C. J. Ferraris, Jr., J. G. Lundberg, L. M. Page and M. H. Sabaj. All catfish species inventory: 2005 progress report (poster). 85th Annual Meeting of the American Society of Ichthyologists and Herpetologists hosted by the University of South Florida at the Marriott Tampa Waterside Hotel and Marina, Tampa, Florida. 2005  Luckenbill, K. R., M. H. Sabaj and J. G. Lundberg. The good, the bad, and the ugly: Imaging catfish primary types at ANSP (poster). ibid. 2005  *Sabaj, M. H., N. J. Salcedo and H. Ortega. 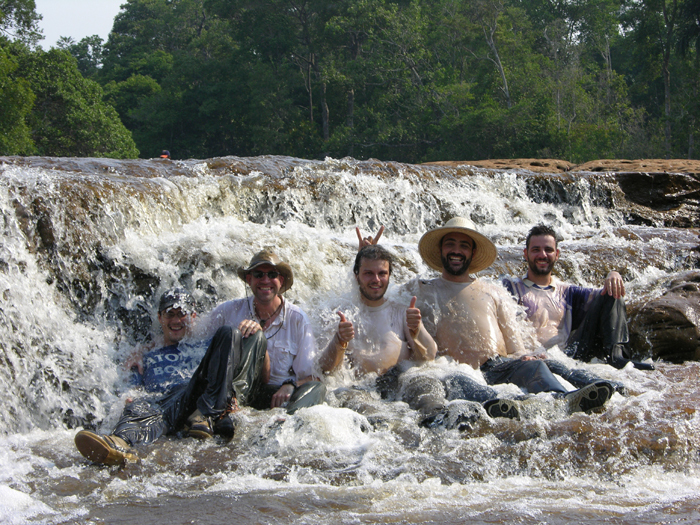 Piscatorial highlights from the Peruvian leg of the trans-continental catfish expedition sponsored by the All Catfish Species Inventory (paper). ibid. 2006  Sabaj, M. H., M. Arce* & L. M. Sousa. Taxonomy and systematics of Nemadoras, a genus of Neotropical thorny catfishes (Siluriformes: Doradidae). Joint Meeting of Ichthyologists and Herpetologists (JMIH) hosted by University of New Orleans, Southeastern Louisiana University & Tulane University at the Sheraton New Orleans Hotel, New Orleans, Louisiana, July 1217. 2006  *Sabaj, M. H., J. W. Armbruster, C. J. Ferraris, Jr., J. P. Friel, J. G. Lundberg & L. M. Page. All catfish species inventory (ACSI): Midterm report. Ibid. 2007  *Page, L., M. Sabaj, J. Lundberg, J. Friel, C. Ferraris & J. Armbruster. The All Catfish Species Inventory (poster). Joint Meeting of Ichthyologists and Herpetologists (JMIH) hosted by St. Louis University at the Hyatt Regency, St. Louis, Missouri, July 1116. 2007  *Sabaj Pérez, M., O. Aguilera Socorro & J. G. Lundberg. Fossil catfishes of the families Doradidae and Pimelodidae (Teleostei: Siluriformes) from the Miocene Urumaco Formation of Venezuela. Ibid. 2008  *Sabaj Pérez, M. H., & J. L. O. Birindelli. Revision of Recent Doras Lacepède, 1803 (Siluriformes: Doradidae), with descriptions of three new species. Joint Meeting of Ichthyologists and Herpetologists (JMIH) hosted by McGill University, Concordia University, Environment Canada & Ministere des resources naturelles et de la faune at Le Centre Sheraton Montréal Hotel, Montréal, July 2328. 2008  Sabaj Pérez, M. H., D. A. Neely, B. Mendsaikhan & C. Sabaj Pérez*. 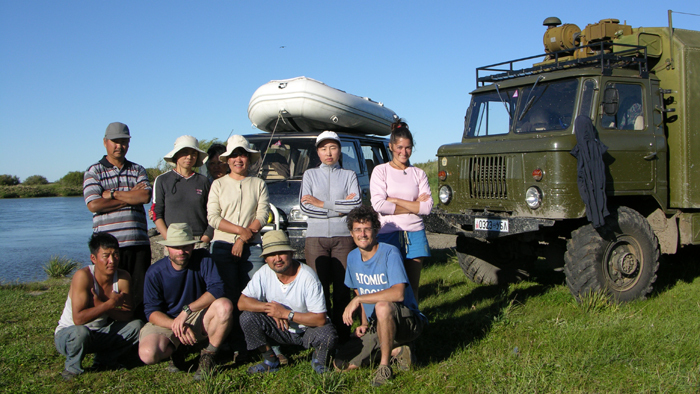 Piscatorial travelogue of the 2006 Expedition to Mongolia. Ibid. 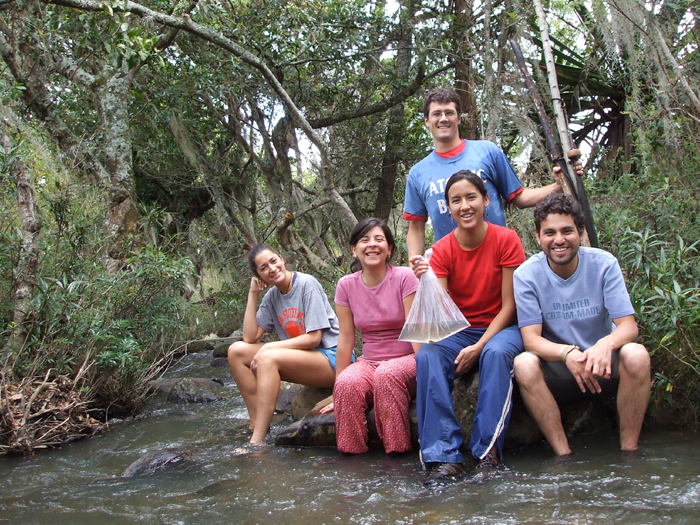 2009  *Sabaj Pérez, M. H., M. Arce, L. M. Sousa & J. L. O. Birindelli. Doradidae: In complete classification. Joint Meeting of Ichthyologists and Herpetologists (JMIH) hosted by USGS Forest & Rangeland Ecosystem Science Center, Portland State University, United States Forest Service, Washington Department of Fish & Wildlife, Washington State University & Oregon State University, Portland, Oregon, July 2227. 2009  *Schaefer, S., M. Sabaj, A. Geneva & P. Chakrabarty. Andean Astroblepid Catfishes: Pattern and Scale of Species Diversity. Ibid.